In addition, Delegate Peace (R) and Senator Favola (D) submitted a budget amendment to create a funding mechanism for the Virginia Department of Social Services to reimburse foster careproviders for increases to their existing motor vehicle insurance premiums that occur because a youth in their care has been added to their insurance policy. The program may also reimburse foster care providers for additional coverage (i.e. an umbrella policy or the equivalent) that provides liability protection should a youth get into or cause a catastrophic accident. Additionally, funding would be made available to foster care youth in Virginia’s Fostering Futures Program to assist in covering the cost of obtaining motor vehicle insurance. Learning to drive is an exciting and nearly essential milestone for young people today. Yet, for youth exiting foster care, this rite of passage is often littered with obstacles — from DMV fees to costly automobile insurance rates. “Youth in foster care meet challenges each step of the way — when applying for their permit, enrolling in driver’s education programs, participating in supervised driving, purchasing cars and obtaining car insurance,” writes Lucy Johnston-Walsh a law professor who runs the Children’s Advocacy Clinic for Penn State’s School of Law. This is a topic Johnston-Walsh knows well. She authored Behind the Wheel — a report based on research funded by the Annie E. Casey Foundation — after a county policy in Pennsylvania banned her longtime client, Lara Hollinger, then age 18, from owning a car. The issue? Hollinger’s foster care status. working to ensure that foster youth have access to driver training by offering programs and providing funding to incorporate this training into the transition plans for independence. In 2017, Hollinger and Johnston-Walsh brought their concerns to a local judge and argued — successfully — that the policy limited a young person’s independence and penalized them for circumstances beyond their control. Despite this progress, Hollinger — who eventually left care over this issue — points out that there is still more work to do. “I think a lot of people still need to understand how much harder it is to get insurance or to get the hours behind the wheel when you are in care,” she says. 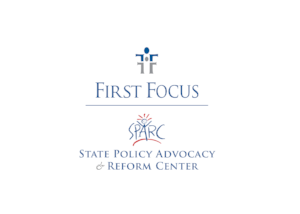 In addition to supporting Johnston-Walsh’s research, the Foundation has also funded the State Policy Advocacy & Reform Center (SPARC), a nonpartisan center focused on supporting state advocates who are pursuing child welfare reforms. In conjunction with the nonprofit First Focus, SPARC has launched Going Places — an initiative focused on identifying and advancing policy solutions that can help young people in foster care obtain a driver’s license. As part of these efforts, Going Places profiles programs that are helping youth in care get on the road. One such success story — which Behind the Wheel touts as a model to follow — is Keys to Independence, a three-year pilot created by the state legislature in Florida. The program allows reimbursements on learner’s and driver’s license fees, testing fees, traffic and substance abuse courses, driver’s education courses and insurance costs for youth in foster care. Learning to drive is a rite of passage to young adulthood for millions of youth. It brings new levels of independence and opportunities, enabling young people to take themselves to school, work, and extra-curricular activities. Studies have shown that kids with access to a car do better in school, get better jobs, have more college options, and have more successful careers. Teens in foster care often face significant barriers to obtaining a driver’s license. Some of these barriers include difficulty securing the parental or guardian permission needed to enroll in driver’s education or to secure an insurance policy, as well as an inability to pay for the various fees associated with becoming a driver. Without a driver’s license, young people in foster care often miss out on age-appropriate opportunities that contribute to success in adulthood. The Foster Youth Driving Act introduced by US Rep. Danny Davis (IL-7) provides prospective foster parents with training to help prepare a young person to drive. It also provides funds to assist with this process such as assistance with vehicle insurance costs, driver’s education class and testing fees, and fees related to obtaining a driver’s license. Reducing these barriers will increase the sense of normalcy for foster youth and empower them to seek opportunities of higher education and gainful employment. Several states have also passed legislation related to reducing these barriers for foster youth. Florida’s ground breaking program Keys to Independence, which works to reduce the barriers for foster youth in gaining driving experience and getting a license, was granted permanency this year. Arizona passed a bill that allows foster youth to purchase car insurance. Most recently Kentucky and South Carolina passed similar legislation that extends authorization for who can sign off for a learner’s permit and driver’s license. 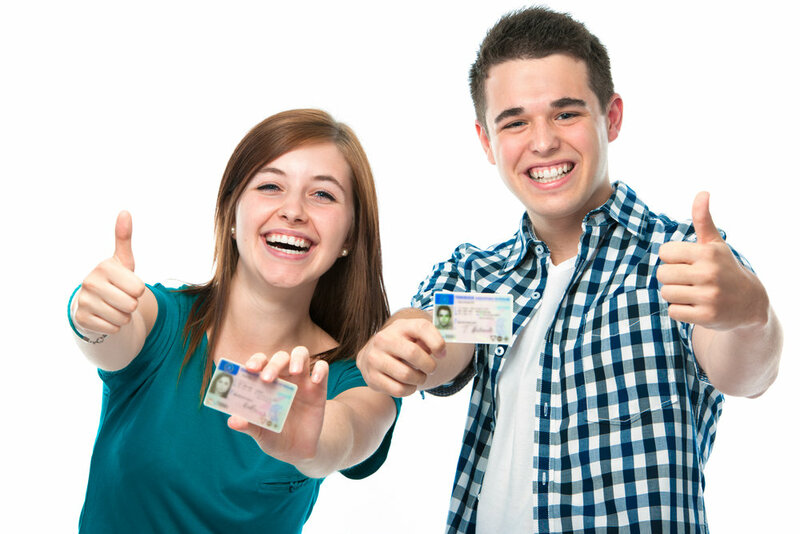 Obtaining a driver’s license can play a significant role in the life of an adolescent or young adult in foster care. SPARC, an initiative of First Focus, has launched a campaign called Going Places. The campaign is dedicated to improving state policies regarding foster youth and their access to driver’s licenses, driver’s education, practice hours, access to cars, and insurance. To read the letter of support, click here. Learn more about the Going Places campaign. During our Fostering Advocates Arizona Day at the Legislature, I spoke on a panel to an audience of lawmakers. My hope is they will have a better understanding of the struggles and barriers youth in foster care face, especially as it pertains to normalcy, and consider our recommendations for improvement. Obtaining a driver’s license enables youth who have experienced foster care the chance to have a normal adolescent experience, like those of their non-foster youth peers. Additionally, a driver’s license provides a means of transportation for youth to attend school, maintain employment, and participate in extra-curricular activities. If I didn’t have my driver’s license at the age of 16, I would not have been able to attend my chosen high school, participate in student organizations or maintain employment. All of the above were crucial stepping points in mapping out my future and carrying me to where I am today, a student at Arizona State University. Although Arizona Senate Bill 1341 does not solve all of the problems relating to normalcy, nor does it grant all foster youth access to a driver’s license, it does begin a conversation around the importance of a driver’s license, and the barriers that youth in foster care must overcome to obtain one. The bill allows us to examine current legislation and determine ways in which we, as a system, can provide the needed skills and training critical to success in adulthood. In all, we cannot do this alone! I am grateful for the opportunity to act as a voice for my fellow peers in foster care; however, we will need support and more legislative champions to continue this work and to truly impact change. Breanna Carpenter is a member of Fostering Advocates Arizona Young Learning Adult Leadership Board and is a student at Arizona State University.